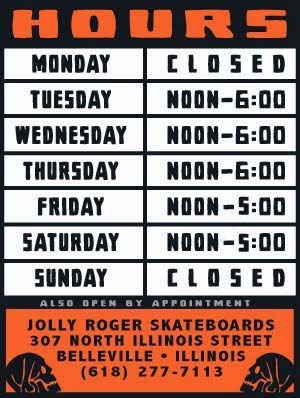 Come on in and check out our first batch of Funhouse Skateboards. These detailed beauties are the handy work of Illustrator, JJ Rudisill of New Jersey and the graphics are sick! You might be surprised that JJ doesn't just draw skulls. In addition to working with Thrasher and Concrete Wave he has also done everything from Sesame Street to Dora the Explorer.